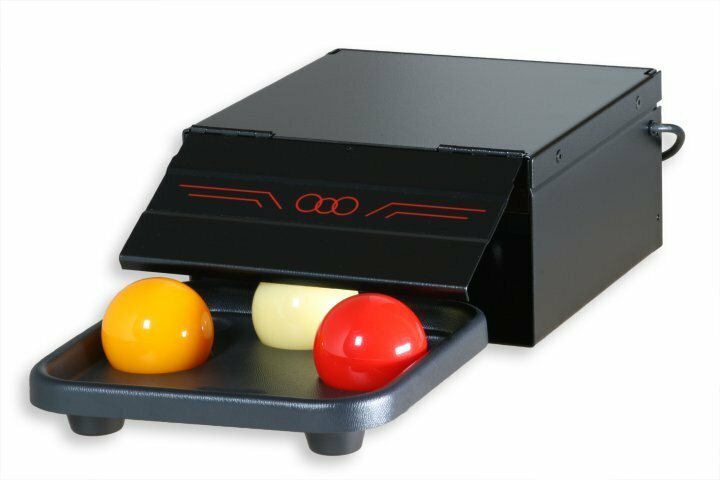 Detailed descriptions on the operation and connections can be found in the MICRO8 or MICRO32 manual under the heading CONTROL-BALL. 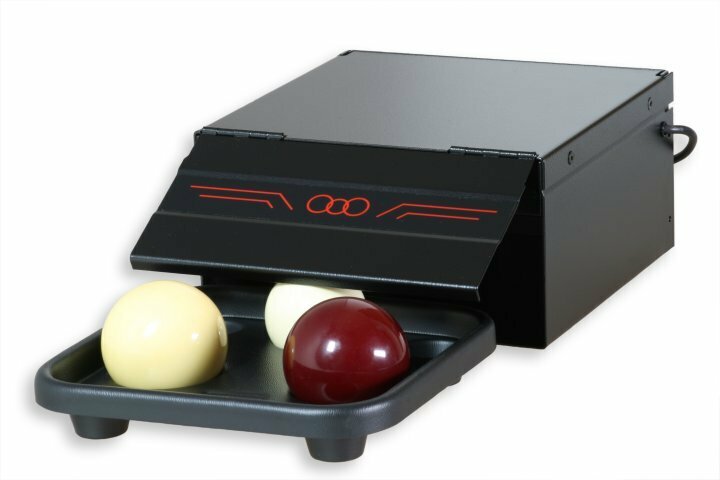 Is designed for controlling the BOXes (cases) which hold the billiard balls. 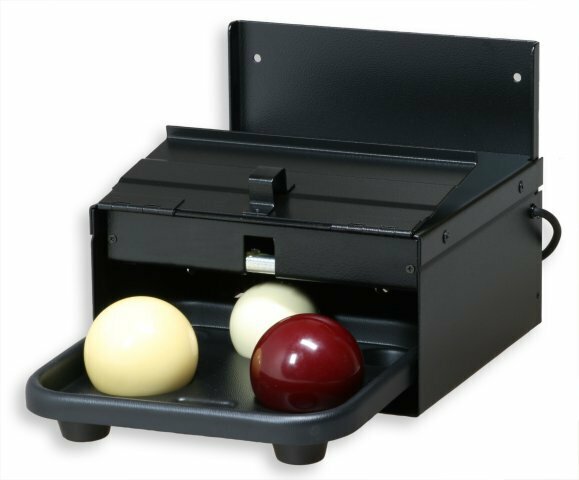 Three models available: for 4, 8 and for 16 boxes. 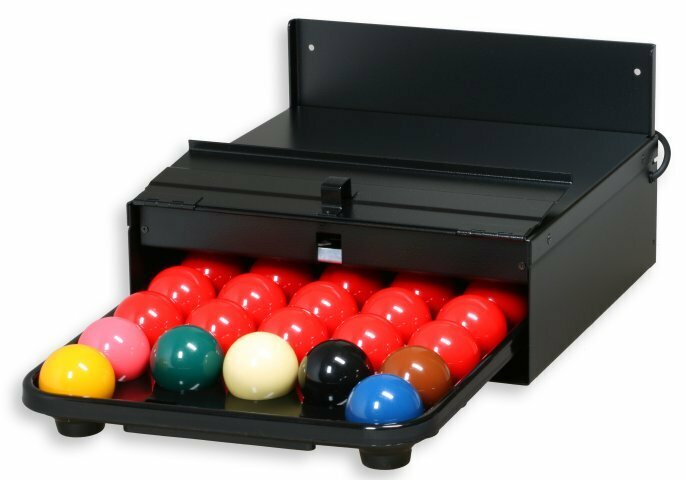 Art.728 - CONTROL-BALL-4 can control the balls for 4 tables. 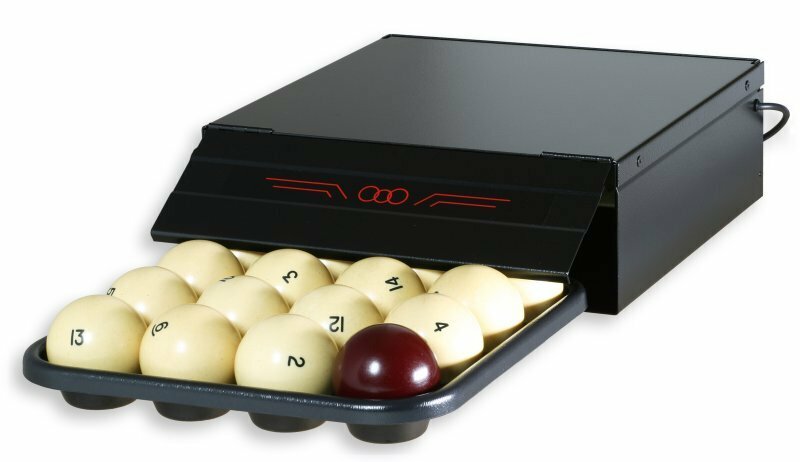 Art.729 - CONTROL-BALL-8 can control the balls for 8 tables. 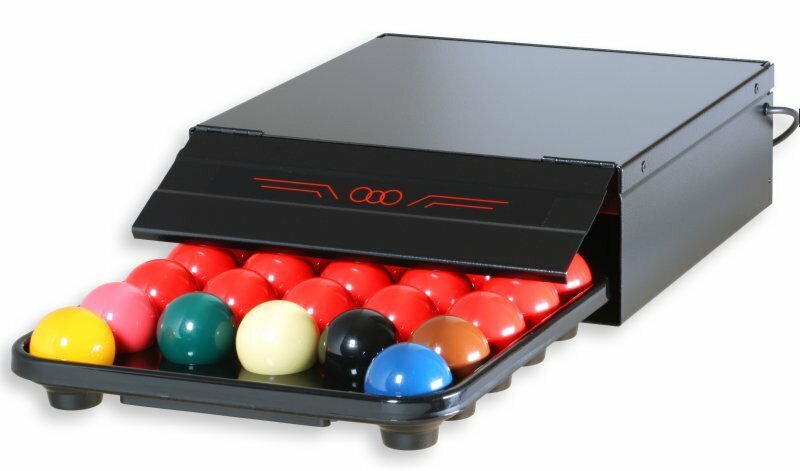 Art.730 - CONTROL-BALL-16 can control the balls for 16 tables. 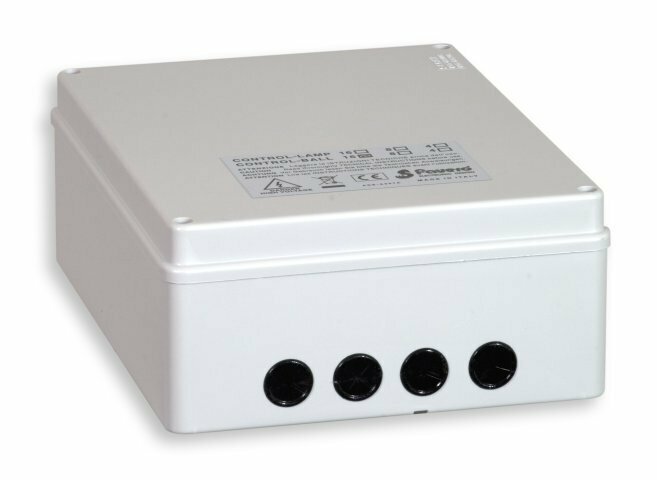 The connection between each BOX and the controller is carried out using two wires at low voltage (24V). 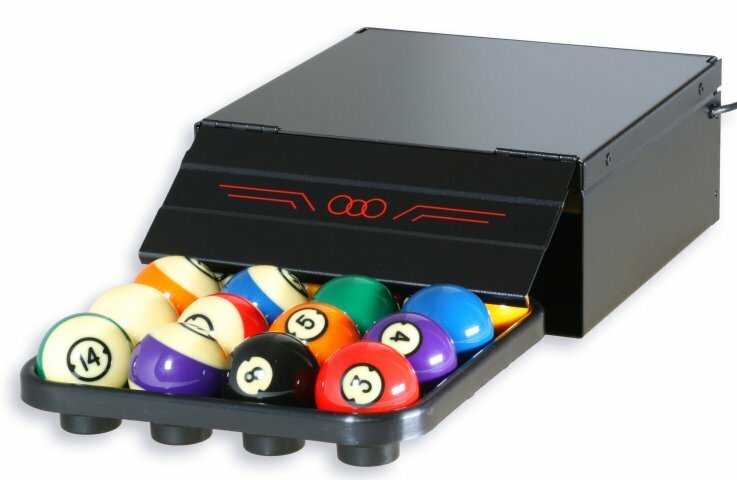 BOX is a sturdy metal container with a simple mechanical system (patented) for controlling the billiard balls. 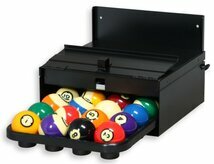 There are BOXes for all types of billiard balls: see ARTICLE CODES section. 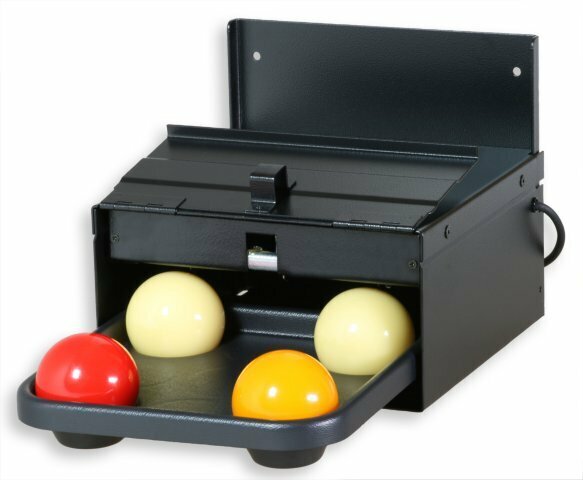 When a game start (START) is given to the MICRO8-MICRO32, the ball door opens automatically thus allowing the player to take the tray holding the balls. 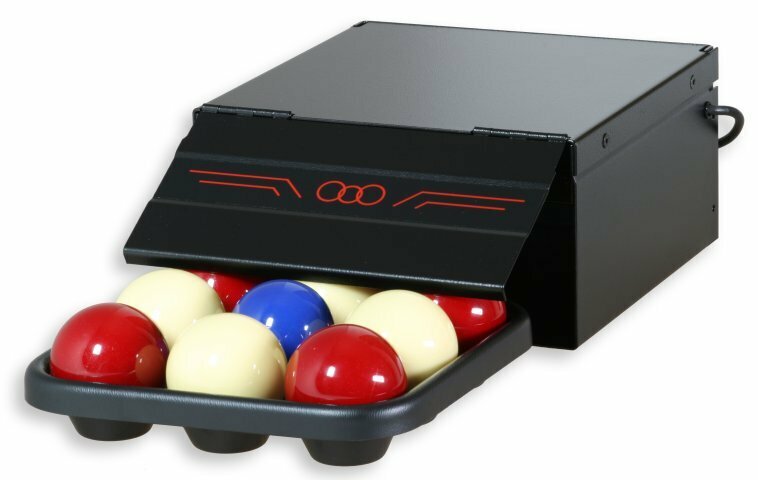 When the tray with ALL the balls is replaced into the BOX and the door is closed (the door will not close if even one ball is missing), the MICRO8-MICRO32 will stop the time count and display game-over to the operator. 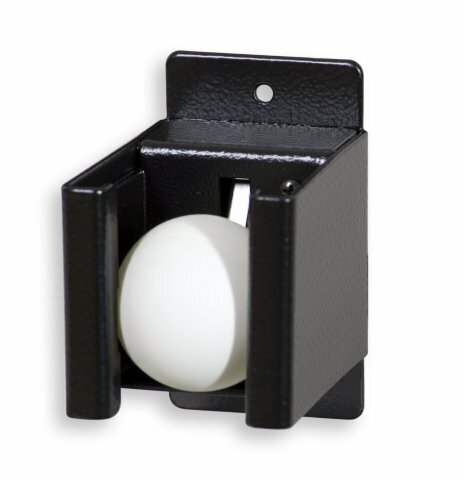 The BALL-CONTROL can also be connected to simple ball holders where a micro-switch trips when the ball tray is removed. 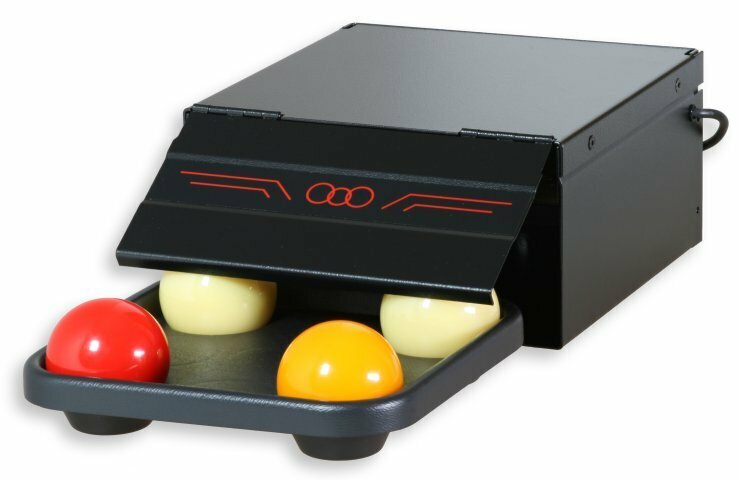 In this case the game starts automatically when the tray is removed. 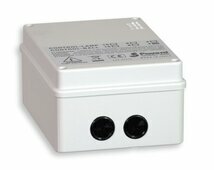 CONTROL-BALL power supply: 230Vac, 250mA Max (115V). 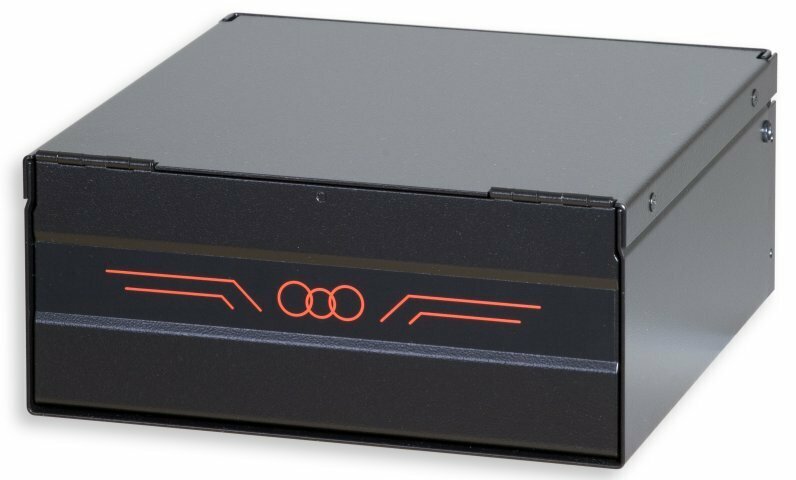 All the below mentioned BOXES have a rear shoulder in sheet metal for wall mounting. 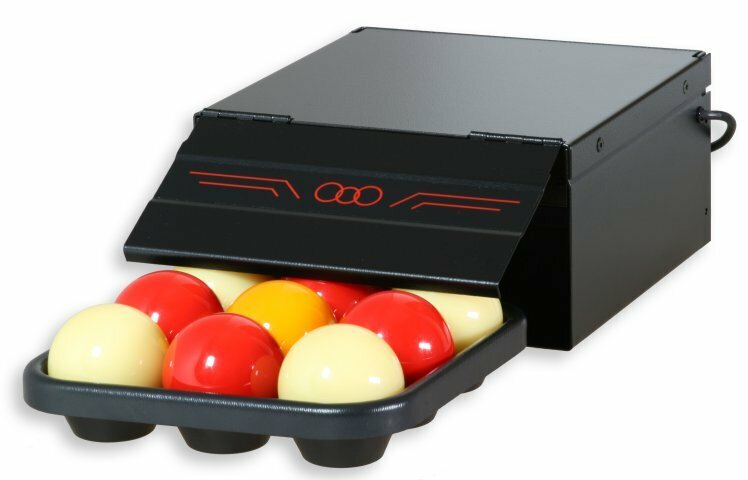 If the boxes have to be stacked one on top of another, they are available without rear shoulder and with an anti-slip rubber insert; their code number has the word /L added (example: Art. 403/L). 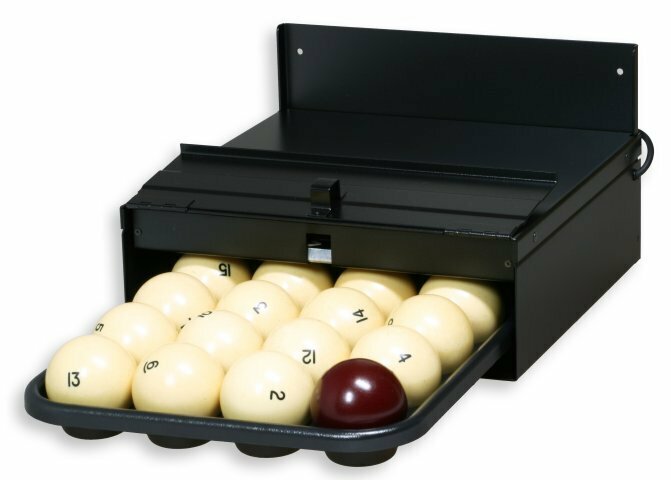 There are also available BOXES for fitting underneath the billiard table with appropriate brackets; their code number has the word /S added. 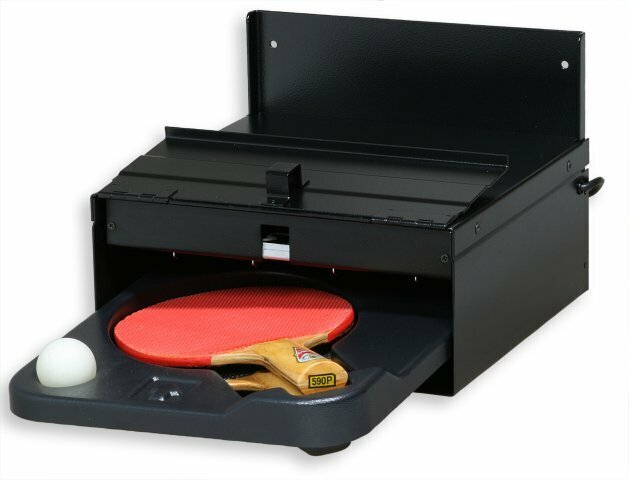 Size: 16x12x7,7cm. - Weight: 1.07kg. Size: 20x15x8cm. - Weight: 1.24kg. Size: 24,5x19,7x9,5cm. 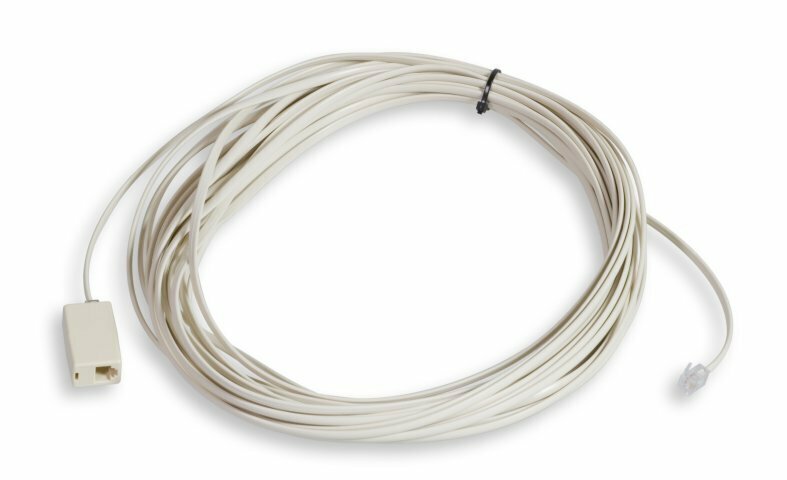 - Weight: 1.5kg. Size: 21,5x22xH11,2+7,8cm. - Weight: 4.35kg. Size: 21,5x22xH11,2cm. - Weight: 4.25kg. Size: 26x26xH11,2+7,8cm. - Weight: 6kg. Size: 26x26xH11,2cm. - Weight: 5.8kg. 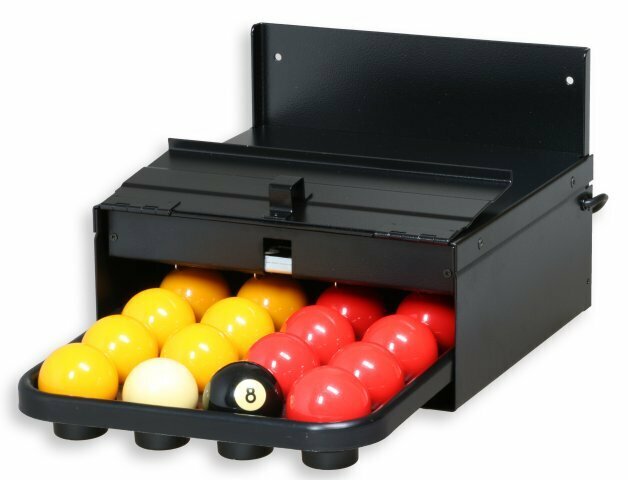 Size: 26x26xH11,2+7,8cm. - Weight: 6.13kg. 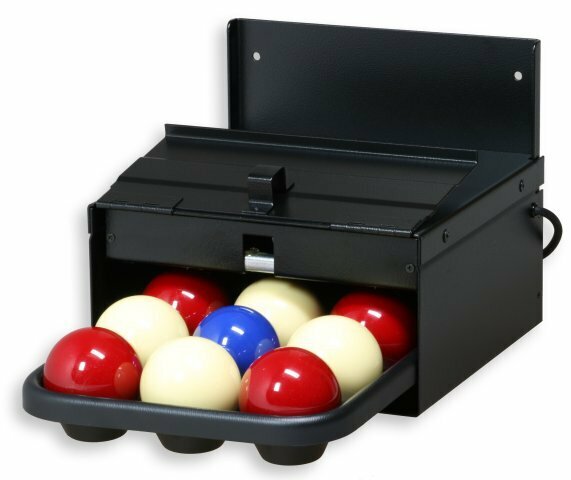 Size: 26x26xH11,2cm. - Weight: 5.93kg. Size: 32x32,5xH11,8+7,8cm. - Weight: 8.4kg. Size: 32x32,5xH11,8cm. - Weight: 8.3kg. Size: 32x32,5xH11,2+7,8cm. - Weight: 8.38kg. Size: 32x32,5xH11,2cm. - Weight: 7.9kg. 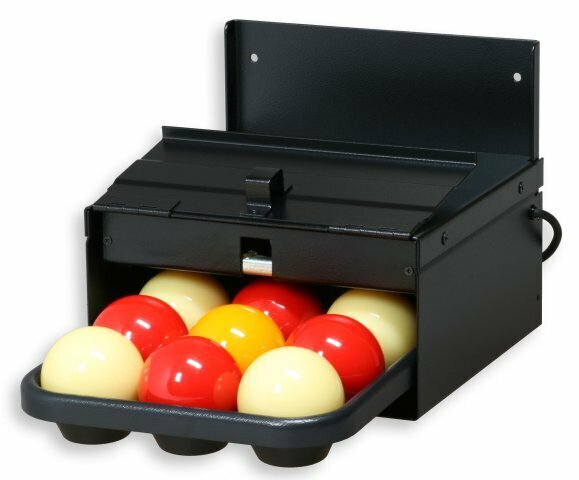 Size: 26x26xH11,2+7,8cm. - Weight: 5.9kg. Size: 26x26xH11,2cm. - Weight: 5.7kg. Size: 4,9X7,1X8cm. - Weight: 0.24kg.